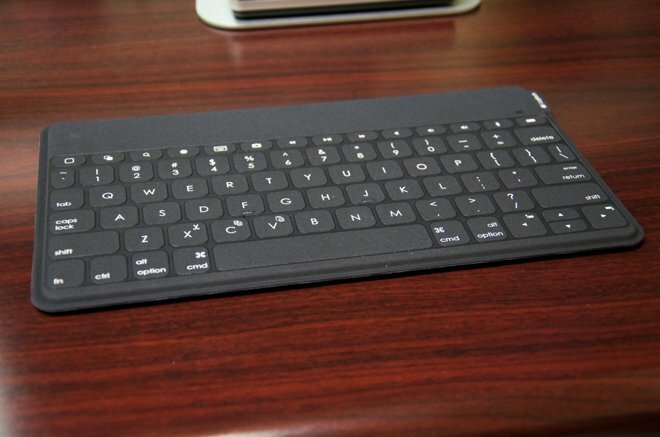 Released earlier this year, Logitech's new bluetooth keyboard is one of the thinnest and lightest keyboards available. 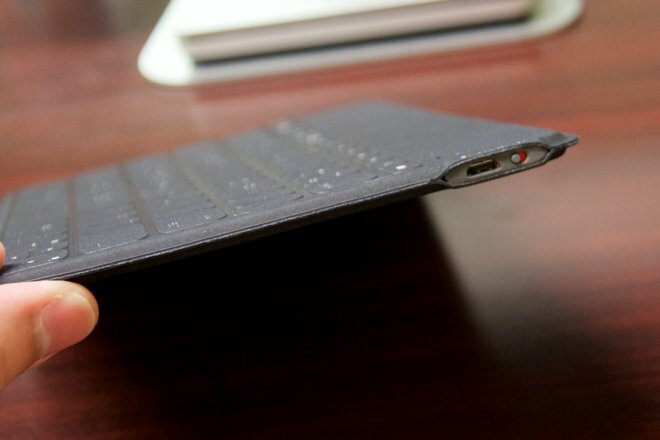 Most options for iPad are full case-style keyboards, adding significant bulk to the device and requiring the user to completely remove the case when not wanting to use the keyboard. 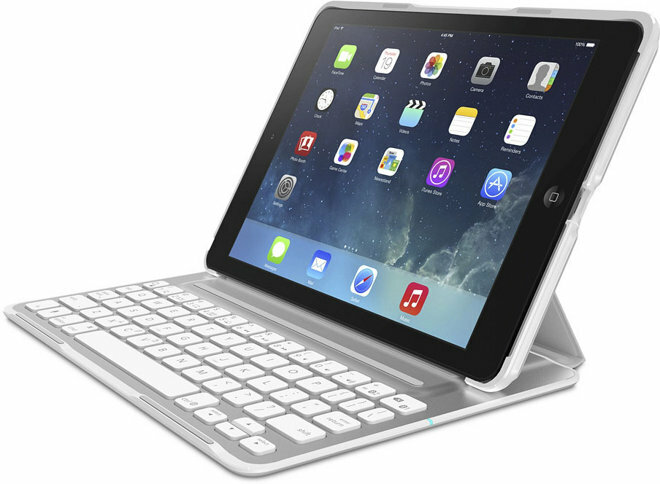 The Logitech Keys to Go caters to iPad users who have a case they already enjoy and occasionally want to use a full keyboard. Personally preferring Apple's Smart Case for iPad Air 2, one of the few options for non-keyboard cases is the Incase Origami Workstation. After several months with the Origami workstation, we decided it was unwieldy and awkward to carry around regularly. In contrast, the Keys to Go keyboard is extremely light and portable, weighing in at 180 grams and just 6.1mm thick. It feels as light as my iPhone 6 Plus given its larger footprint. At many points the keyboard is as thin as an iPhone 6 as well. 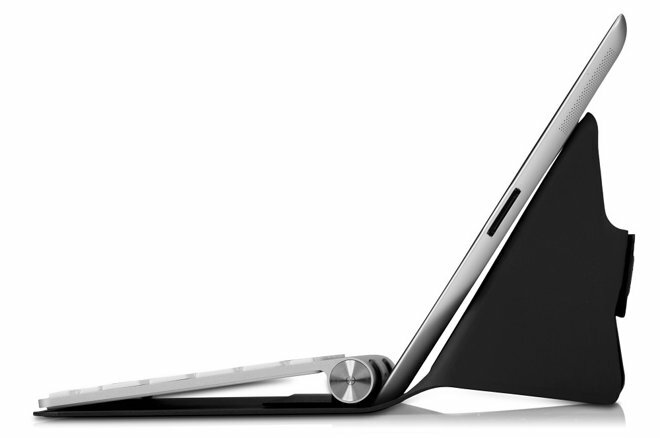 That thinness does not allow for regular, tactile keys though. The buttons are fairly "mushy", and if you prefer solid, clicky style keys this might not be for you. We adapted quickly and found typing to be very accurate. In addition to the standard keyboard commands there are iOS dedicated buttons as well, including Home, multitask, Spotlight, and international keyboard shortcuts. The rubberized "FabricSkin" that surrounds the keyboard resists dirt, crumbs and even liquid spills. Using it in a local coffee house, we were not worried about some drops landing between the keys. Simply wetting a napkin or cloth and wiping the entire surface down was a nice change from fretting over liquid dripping through the keyboard. Spending a week with the Keys to Go, we found numerous situations where it was well suited. Any desk to tabletop will work great, and it's ideal for when there's not enough room for both your iPad and keyboard on the same surface. We did find that typing without a solid working area, such as on your lap, did not work as well. The combination of soft keys, small surface area and no connection to the iPad made for a poor experience. To charge the device there is a micro USB port on the right side. While it comes with a micro USB cable, there is no charger or wall wart included. After a week of daily use (about 1-2 hours per day), it has yet to require a charge out of the box. According to Logitech, the Keys to Go should last several months on a single charge with two hours of daily use. The Logitech Keys to Go comes in three colors, black, red and teal and is available from Logitech for $69.95.